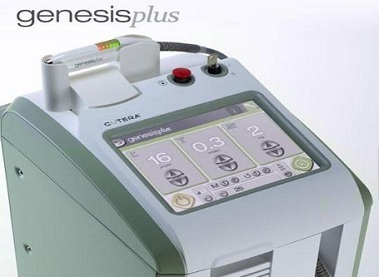 Get a Vibrant and healthy looking skin with Laser Genesis. Everyone has to face the signs and symptoms of ageing in their lives. Some use creams, lotions and other products to remove the wrinkles and other blemishes. Sometimes cosmetic products are not enough to clear your wrinkles, redness or skin sag. At this point, we turn to other beauty processes such as surgery to make our skin look younger. With some of these processes, there is a recovery time that can take days or even weeks after the process is performed. Laser Genesis is an innovative skin therapy that utilises lasers as a skin facial treatment to provoke a healthy and vibrant looking skin in men and women. The good news is it is suitable for all types of skin. The fine laser energy is directed underneath the skin that activates the papillary dermis producing more collagen. 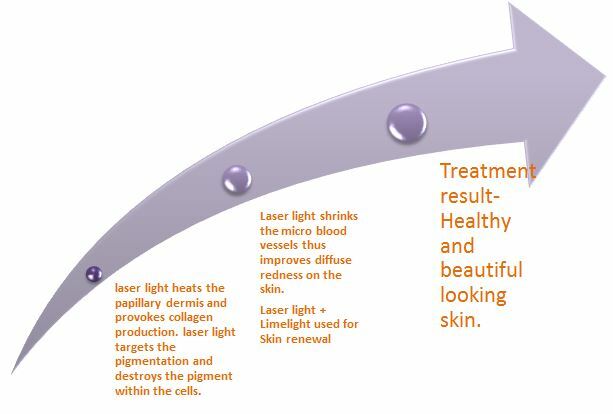 In the case of pigmentation, the laser light is focused to superficial pigmentation and the pigment draws the light energy and converts to heat energy in the skin tissue which destroys the pigment within the cell. A regular repeat of 3-4 therapy procedures will result in a dramatic change of skin colour and texture. – This therapy contracts the micro blood vessels of the papillary dermis thus reducing the redness on the face. -The therapy is repeated as per the severity of the skin damage. It is important to maintain the skin with the right cosmetic products and skin protection cream. – Laser Genesis is best suited for people who are suffering from uneven facial texture, wrinkles, rosacea, enlarged pores and even acne scars, with no side effects, and minimum healing time. – Laser Genesis combined with Dermapen or Carboxytherapy or skin needling is the best treatment for improving the appearance of stretch marks. – Laser Genesis is exclusively used to plump up the lips with no pain and less time. The therapy can also be focused on a small area for rejuvenation such as the mouth, the nose, the hands or the eyes. – In the case of Epidermal melasma, laser light facilitates the breakup of the superficial pigmentation and thus prevents melasma. With this latest technology, our cosmeticians deliver outstanding results to our clients and have achieved the desired cosmetic results and helped find relief from various medical conditions. WHY AND HOW DOES OUR SKIN AGE?